The Internet can be a horrible place, but there’s a lot of beauty out there. Beautiful paintings and photos can remind you of that, and the right program can deliver them to you automatically. Whether you love classic art or photos of contemporary architecture, there’s a program with custom wallpaper out there for you. Here are a few of the best tools for the job we’ve found, and how to use them. 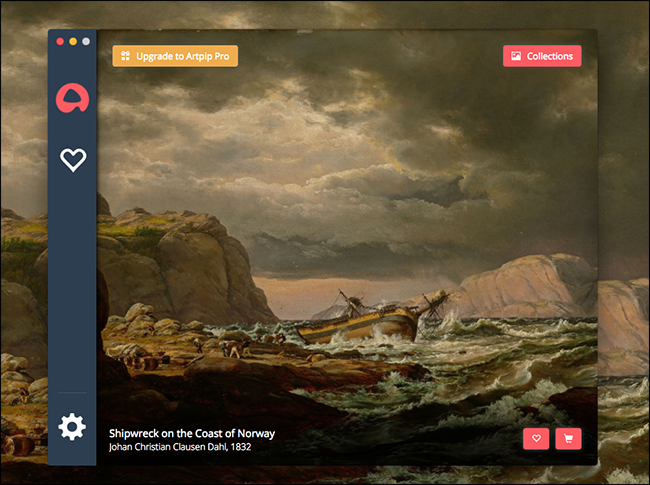 Whether you’re an art history buff or just wish you knew more, Artpip provides you with classic paintings on your Windows or Mac desktop. 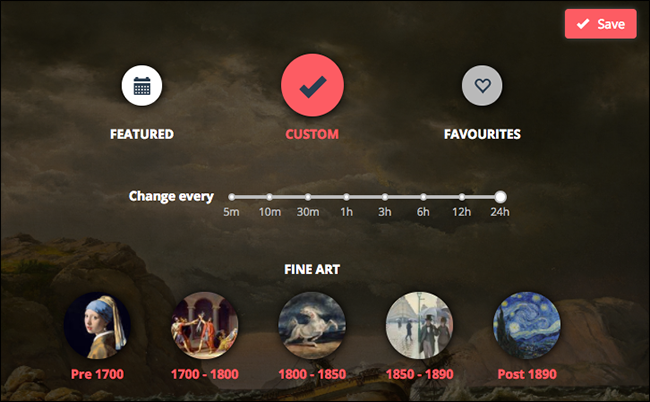 Just install the application and your basically done: your wallpaper will now change to a random painting once a day. You’ll get a notification, telling you the painting’s name, artist, and year. If you’d like some control over which era of painting you see, or how often you’d like to see them, head to the settings panel. From here you can choose a time period. For $10 more you can add some collections of photos to the mix, and rotate the images faster than one picture a day—other than that, the program is completely free. Unsplash offers a massive collection of photos that’s totally free, even for commercial use. It stands out in terms of quality: these photos are, almost without exception, stunning. 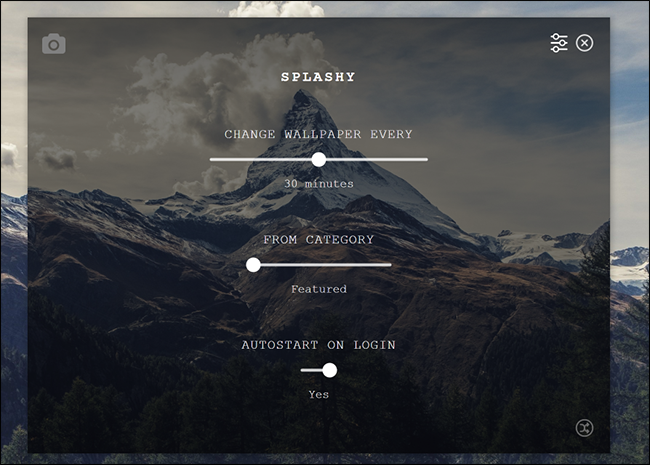 Splashy is a free program for macOS and Windows that grabs pictures from Unsplash and puts them on your desktop. Not sure you want a dedicated app just to find cool wallpapers? 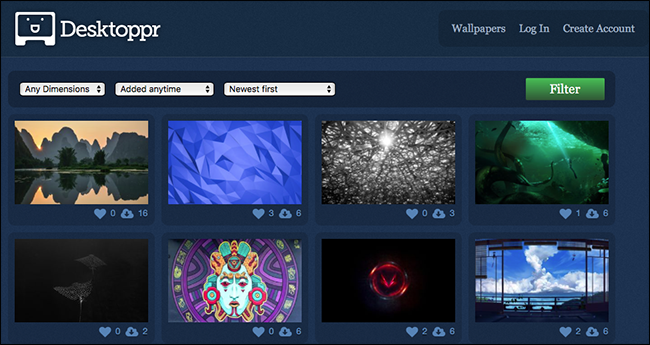 Desktoppr is an online database of wallpapers you can set to sync with Dropbox. Just sign up for an account, then start browsing the database. Click the cloud button by any image to send it to your Dropbox folder. Then all you need to do is set your computer to use that folder for its wallpaper. It’s a simple process that doesn’t require installing any software, and it will only ever show images you’ve specifically chosen. In addition, whenever you add an image to that folder on your computer, it’ll get uploaded to the Desktoppr database. The database is getting updated all the time with new wallpapers from users, so check back regularly! 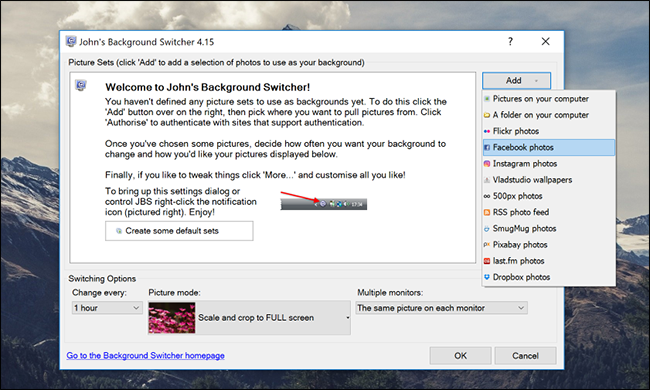 If you want way more flexibility than any of the above tools, check out John’s Wallpaper Switcher, which can customize your wallpaper with image search, RSS feeds, and more. You can choose multiple sources to rotate between, making this an extremely flexible tool for whatever images you want. The tool works on Windows and macOS computers, though only the Windows version is free.